CHAMPAIGN, Ill. — By peering at the brains of study subjects prompted to suppress negative emotions, scientists have gained new insights into how emotional regulation influences negative feelings and memories. The researchers hope the findings will lead to new methods to combat depression. The research, reported in the journal Neuropsychologia, relied on functional MRI to track activity in the brains of 17 individuals undergoing an image-rating task. A control group of 17 performed the same activities without functional MRI. The study revealed similarities and differences between those who were explicitly told to suppress negative feelings while rating the negativity of negative images and those unconsciously prompted to do so. Both overt and covert emotional suppression reduced participants' memory of the negative images one week later, the study found. But the two approaches had different effects on participants' immediate experience of emotions associated with the images, and on how their brains processed the images. 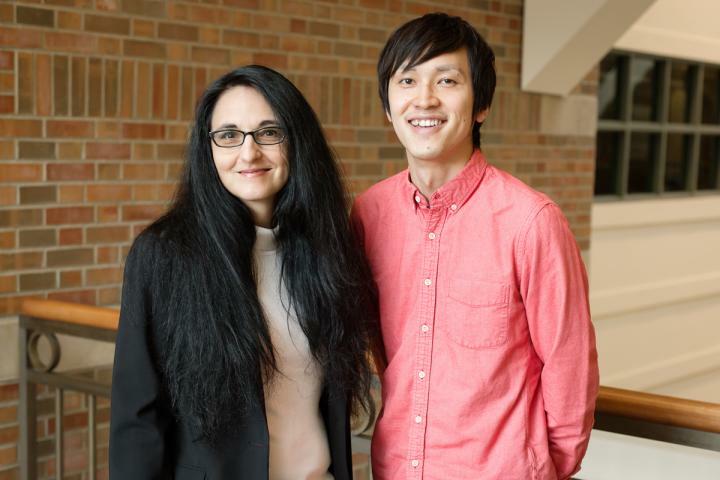 "Our interest in conducting this study started with a desire to identify alternative ways to help people with depression," said U. of I. psychology professor Sanda Dolcos, who conducted the research with graduate student Yuta Katsumi. "Friends and family of depressed people often say, 'Get yourself together and control your emotions,' but this is not so easy," Dolcos said. "That's why we are interested in implicit, or unconscious, emotional suppression." "People with depression or other mood disorders tend to have trouble distancing themselves from their negative memories," Katsumi said. "If we can help them remember less or forget those negative memories, then maybe they can reallocate that attention to something more positive in their lives." At the beginning of the study, researchers asked participants to rate 180 negative and neutral photos. They then repeated the activity – some after being instructed to dampen their negative emotional responses to negative photos, and some after reading materials designed to unconsciously prompt emotional control. Both conscious (explicit) and unconscious (implicit) emotional suppression reduced participants' ability to remember the negative images one week later. However, compared with how they felt when viewing negative images initially, only those explicitly told to inhibit their negative emotions felt less negative when viewing negative photos. The functional MRI data revealed that explicit, but not implicit, emotional suppression lessened activity in in the amygdala, a brain region that aids in emotional processing. However, both forms of emotional suppression were associated with reduced functional connectivity in brain regions that help encode emotional memories, the researchers found. This may explain why both explicit and implicit emotional suppression reduced participants' memory of negative photographs. "Suppressing emotions appears to reduce negative memories, whether you do that consciously or unconsciously," Katsumi said. "But explicit emotional suppression takes effort. You have to have enough cognitive resources to do that, and people with clinical conditions might not be able to afford those resources." Other studies suggest that implicit, unconscious suppression of negative emotions "might help people with already-limited cognitive functioning" be less burdened by negative memories, he said. The authors also are affiliated with the Beckman Institute for Advanced Science and Technology at Illinois. The paper "Suppress to feel and remember less: Neural correlates of explicit and implicit emotional suppression on perception and memory" is available online and from the U. of I. News Bureau.